Are you looking for a floor care expert that can ensure the highest level of cleanliness for your hospital or warehouse or business premises? At Squeaky Klean, we approach floor care with a comprehensive cleaning system that comprises innovative products, advanced technology, and decades of experience. We have the expertise to improve and maintain the appearance of your floors. 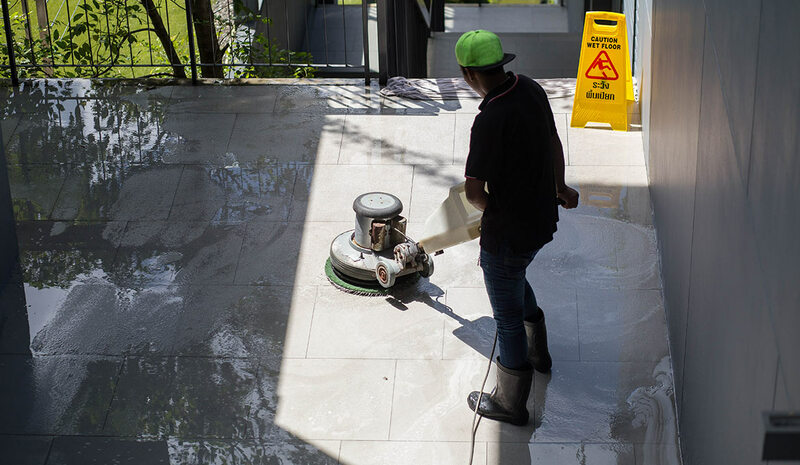 Floor care is an essential service for a wide variety of commercial facilities and business premises, including hospitals, industrial areas, nursing homes, and more. Of course, the traditional mop-and-bucket method will not work for every commercial flooring surface, thus there is no one-size-fits-all cleaning procedure. Depending on the material of your floors, you may require regular sweeping, the use of specialized or neutral cleaning solutions, etc. All in all, the cleanliness and appearance of your floors have a direct impact on your business. Working with a professional for floor care helps ensure that they continue to look great 24/7. What Does Squeaky Klean Services Inc. Offers for Floor Care? Stripping: Effortlessly remove debris, soil, old wax, etc., found on your floors. Waxing: Clean and polish your floors to give them a renewed shine and protect them from further damage. Carpet Cleaning: Improve the appearance of your carpets by removing allergens, dirt, and stains. Tiles Grout Cleaning: Eliminate grimy grout from your floor tiles! Terrazzo Floor Cleaning: Clean your Terrazzo floors to create a good impression on a new client! Power Washing: Tap the power of high-pressure water sprays to remove dust, grime, mold, etc., from your floors once and for all! Experience the Squeaky Klean Difference for Floor Care Now! Feel free to check out how Squeaky Klean can meet your floor care needs, schedule, and budget. Give us a call at (845) 615–9015 or email us at info@squeakykleanservices.com to get a personalized quote!